Sky Valley offers many different team programs. Beginning, Intermediate & Advanced. Sky Valley is part of the USAG club member program, the governing body of the Junior Olympic Program in the United States. 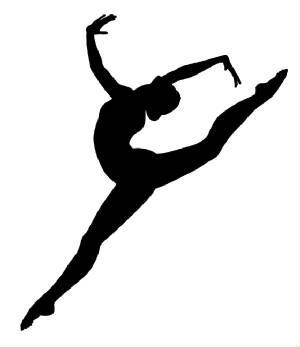 We offer girls competitive levels 1 - 10. Our facility is equipped with a large variety equipment to train the most advanced skills, and our experienced instructors teach in a fun, confidence & self esteem building way. 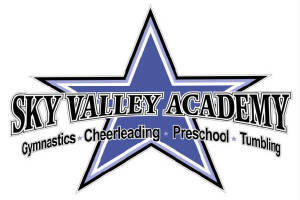 The Sky Valley Flight team gymnastics program provides gymnastics training and opportunities to compete on a local and state level. Intermediate and Advanced - Fall and Spring Seasons. 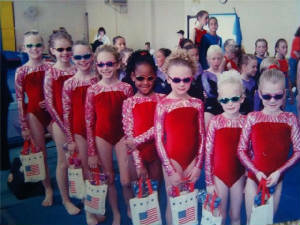 Must be 6 to compete in the Junior Olympic Program & 5 years old to compete in the Xcel Program. Gymnast will be selected by coaching staff. Please inquire if you are interested in finding out if your child is ready to move to the next level and ready for this advanced program. We want to give every child the ability to experience competition gymnastics. Great West Gym Fest 2011 Way to go girls!